One of the sons of Bani mentioned in Ezra x. 34, in the list of those having foreign wives (I Esd. ix. 34; Omærus; R.V., Ismærus). 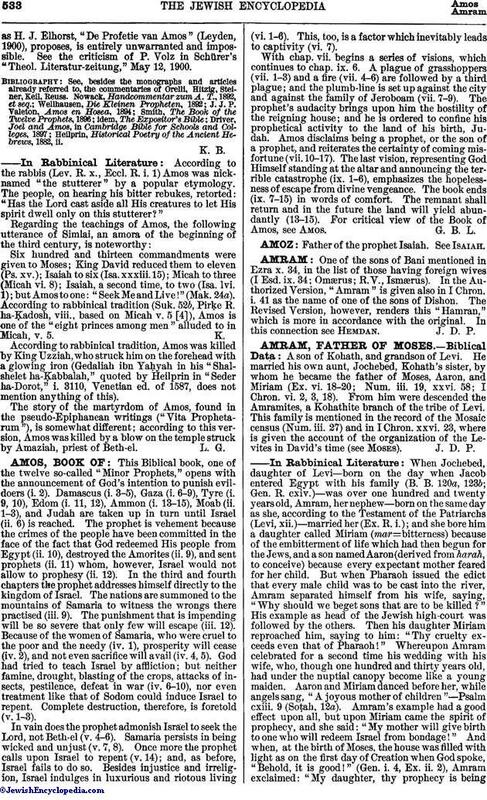 In the Authorized Version, "Amram" is given also in I Chron. i. 41 as the name of one of the sons of Dishon. The Revised Version, however, renders this "Hamran," which is more in accordance with the original. In this connection see Hemdan.